On your phone: Specify that you want to copy files between your computer and your phone. On your computer: Copy your music to a folder on the SD Card of your phone. (Optional) Specify your music folder in Settings in RecordBeater: Settings > Music folder > Select your folder with running music. RecordBeater will automatically try to detect the beat-per-minute (BPM) of your songs using the EchoNest music library and the Artist and Title ID-tags in the music files. If you don't have Artist and Title ID-tags on your music or if EchoNest don't have your music in there library, then RecordBeater can not determine the tempo automatically. Instead you can manually analyse your music with a beat per minute analyser like MixMeister BpmAnalyzer. It is easy! Download MixMeister BpmAnalyzer (free) to a fast computer. Drag and drop your music files (WMA and MP3) into the main windows. MixMeister will then automatically analyse your music and write the BPM to the ID3 tags of the music. When your music is BPM analysed copy it from the computer to a folder on your phones SD Card (using the USB cable). (Optional) Specify the folder in Settings in RecordBeater: Settings > Music folder > Select your folder with running music. That's it. You can always force RecordBeater to rescan your music library just by renaming the music folder on your phone. This can be to your help if you just have analysed your music library using MixMeister BpmAnalyser, and want to be sure at RecordBeater uses these BPM values instead of those from EchoNest. 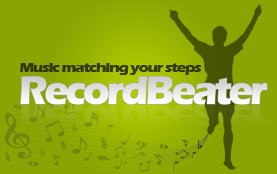 BeatFit is a unique feature of RecordBeater. With BeatFit your step-per-min (aka cadence) is detected automatically and music matching this rhythm is played. 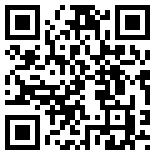 We recommend you have a wide range of music with BPM from 130 to 180. This will allow RecordBeater to switch between different music according to your current running rhythm! Otherwise, your can set up RecordBeater to only play music with a fixed BPM. Just specify this in the "Steps-per-min settings". In this case, you only need one or more mixes or songs with this BPM. Hi. Every time I open Recordbeater, it analyses the 6000+ songs on my phone. Every time. To get anything meaningful I have to open the app and watch it analyse the songs for 10-20 minutes before I can use it. Every time. I was wrong. After finishing this pickup swap, I learned a ton about my guitar without messing ANYTHING up. And now I have a great sounding guitar, too. If you're finally becoming good at guitar, or even if you have been playing for a while and want a change, swapping out the pickups is one of the best things you can do without shelling out hundreds for a new guitar.